I have finally started the second in the series I’m calling Lancaster’s Luck – the m/m romantic steampunk adventure that’s the follow up to the Gilded Scarab. I’ve been thinking about the title and what that says about me and the way I write. Sometimes, I’m too hidebound for my own good. I find it very hard to write anything if it doesn’t have a title. Oh, and pictures to inspire me. I can’t just call the file “WIP” or “DRAFT” or “FRED” and just crack on with the story. I have to have a proper title first, and that means a lot of sitting about and frowning while I think about it, or researching, or looking up literary quotations that might (even if only tangentially) touch on what the novel is going to be about and that might give me an idea for a title for the book. Add to that, an unhealthy attachment to Pinterest and pretty pictures that will help inspire plot or how I see the characters, and it’s a wonder I ever get around to writing anything at all. However, I have made a start. The second book is set in Aegypt, with Rafe and Ned off on an archaeological dig over the winter of 1900-1901. As with the first book, there will be scarabs everywhere, and a couple of personal experiences with scarabs from years ago, when my husband and I spent our first anniversary on a Nile tour, will find their way into the novel when Rafe arrives in Cairo. Did you know their feet tickle? But scarabs aren’t the focus of this book. 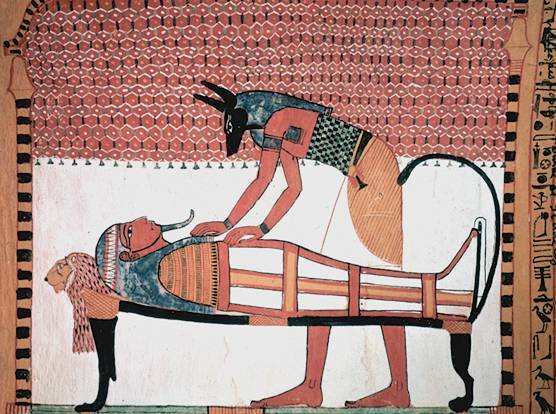 Instead, one of the more equivocal and frightening Egyptian creatures will stalk his way through the story: the jackal-headed god of the dead, the Embalmer in chief, Anubis. Anubis isn’t his real name, of course. That’s a Greek version of the hieroglyphics associated with the Egyptian god who oversaw the embalming of the dead, and who was instrumental in dealing with the soul in the afterlife: ı͗npw (apparently pronounced as Anapa). The standard way of writing his name in hieroglyphs was composed of the sound ı͗npw followed by a “jackal” — now believed, rather more excitingly, to be an African Golden Wolf. 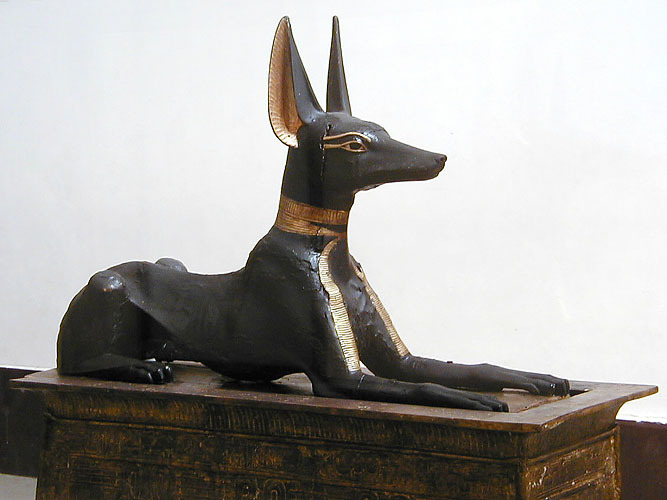 Later in the Old Kingdom, the jackal was shown lying on top of a tomb. Of course, the likelihood is that invoking inpw as a god was a form of sympathetic, protective magic. Wild dogs and jackals abounded, and they were all carrion eaters. There’s little doubt they haunted the cemeteries looking to have a quick snack off a recent burial. Little wonder that a jackal god became associated with death. As with most gods, he has a wonderful array of titles. Believe me, the ancient Egyptians were poets who loved to come up with epithets to describe their gods, with titles that rolled off the tongue with fierce, evocative imagery: He Who Is Upon His Mountain, Lord of the Necropolis, He Who Counts The Hearts, Jackal Ruler of the Bows… and countless others. Yay! A 2nd book! Whee! Grins. Your delight is much appreciated!